The professional crossword-puzzle community is enjoying some unexpected (and unpleasant) time in the spotlight this week, after an excellent FiveThirtyEight story made public allegations of plagiarism against crossword editor Timothy Parker, who runs puzzles for both USA Today and Universal Crossword, which is syndicated. It’s alleged that Parker lifted not just words but key structural design elements multiple times from puzzles originally published in the New York Times (and other publications), sometimes from years earlier. Parker denies the allegations, calling them “mere coincidence”, but other experts like Ben Tausig, editor of the American Values Club crossword, beg to differ. 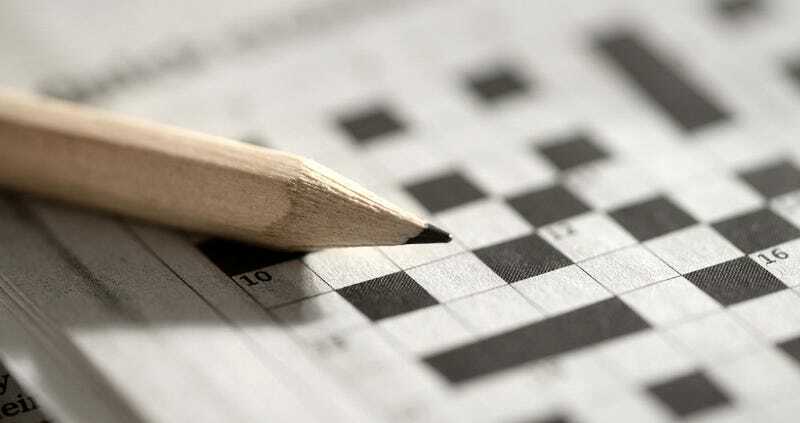 Tausig says the plagiarism is “a gross violation”, and worked with software engineer Saul Pwanson to build a crossword database that’s been able to precisely pinpoint how many of Parker’s crosswords are very similar to those of the New York Times, and how those similarities are rarely found in other major publications. It’s a wild, wild story, so head over to FiveThirtyEight to catch the whole thing. UPDATE: This story originally listed Parker’s name as Tony. It has been updated.